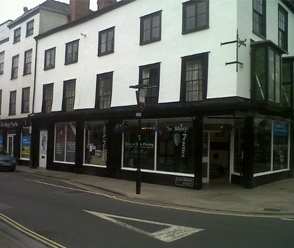 The Sharp Practice is family run tattoo studio that has been established in Salisbury since 1999. Our tattoo artists specialise in bespoke tattoos, freehand work and portraits all inside one of englands largest studios, keep a eye on our news page for guest artists working in the studio. We only use the finest equipment and the brightest inks in a state of the art studio . We also offer piercing, semi-permanent makeup, laser tattoo removal, and anti-wrinkle injections which is carried out by a fully qualified doctor. We have a large range of body piercing jewellery in store. We take pride in giving you the best! Open 10am - 5pm, Monday -Saturday. Walk In appointments available also.